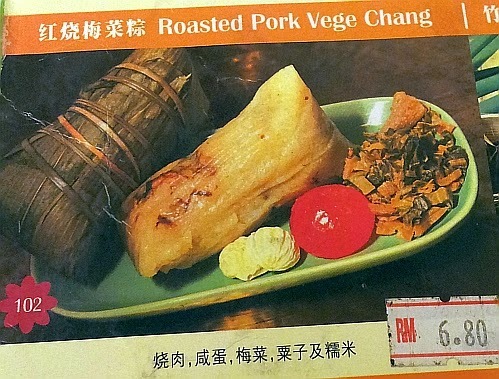 Siew Yoke Mui Choy Chung - MYR6.80 with a whole salted egg yolk. 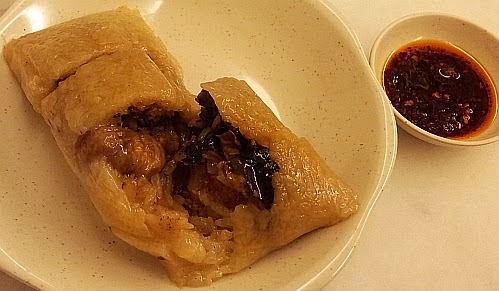 I like to eat glutinous rice so this tastes fine to me although the rice that came into contact with the fatty bits of the pork is quite oily and I had to pick out all the fatty bits carefully before eating the dumpling. This is the picture on the menu. There are other types of dumplings sold too so next time I know where to go for a dumpling fix. 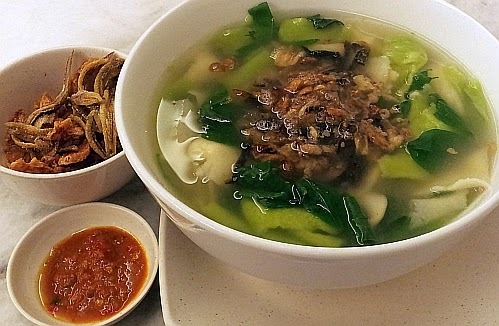 This place also sells pan mee - MYR7.80 (small portion). There is a 5% service charge on the bill when we paid it. They also sell savoury tau fu fa so I will be back to try it. They are located at 6, Jalan Kuchai Maju 19, Off Jalan Kuchai Lama. Yes I am going back for the tau fu fa. TQ. Same to you. I have never liked fatty bits since very young. I like those fatty stuffs in my chang.. Very fragrant.. I love fatty pork a lot, haha.. Guess most people like fatty bits in chang. I'd like that chang too! Yummmm!!!!! I like this place, serving all the food that I like. I have not tasted savory taufufa, wonders how it taste like. I have eaten savoury taufufa in Taiwan. Wonder if they taste the same here. Chung from wet market I guess must tastes good. 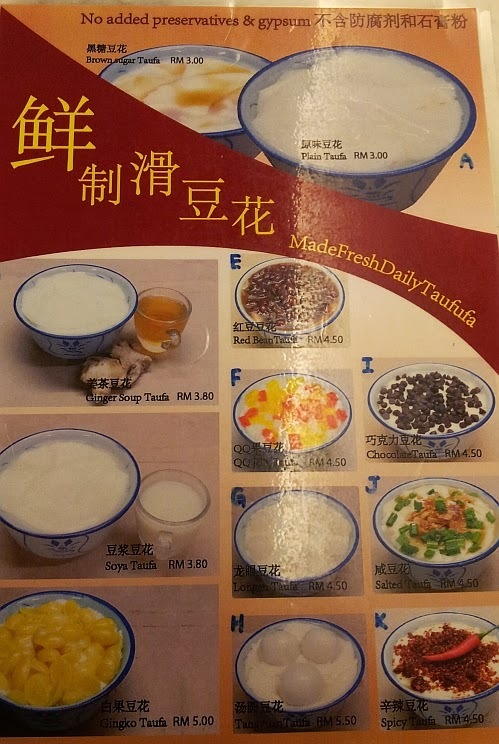 Tau fu fa is my favourite dessert. That chang is tasty looking. I dont mind those fatty meat in it. Taste better. Hehe. Guess that is what the fatty bits are in for. I love chung! Especially those with salted egg yolks. I don't mind the fatty bits hee..hee..
Ah, I have a weakness for them too.